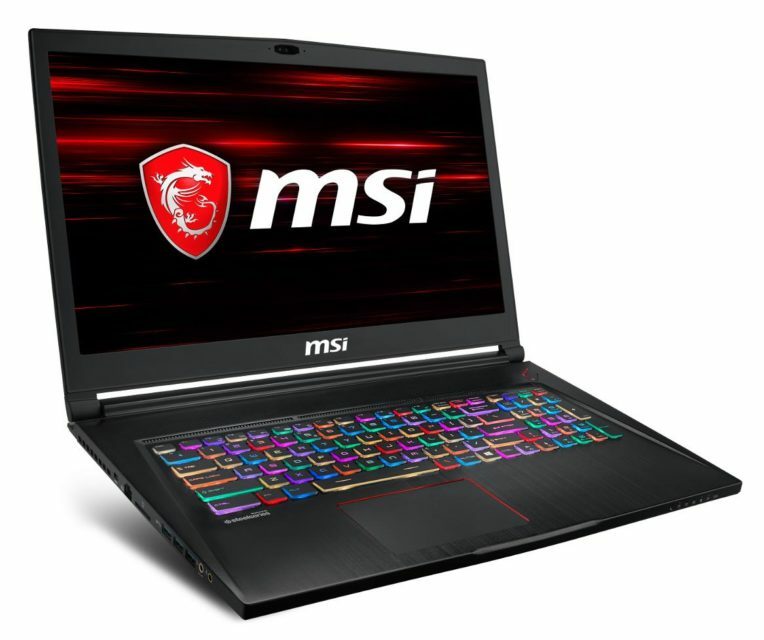 Distinguished by a slim and lightweight chassis for a large-format PC gamer , the MSI GS73 8RD-002 is a powerful 17-inch ultrabook, enriched with a latest generation Hexa Core Coffee Lake processor. It concentrates a solid base composed of a Core i7-8750H, 8 of RAM, a hybrid storage of 1.2 TB (SSD NVMe 256 GB) and a GeForce 1050 Ti Pascal. Opposite, the screen benefits players with full HD 120 Hz flash reaction time (3 ms). 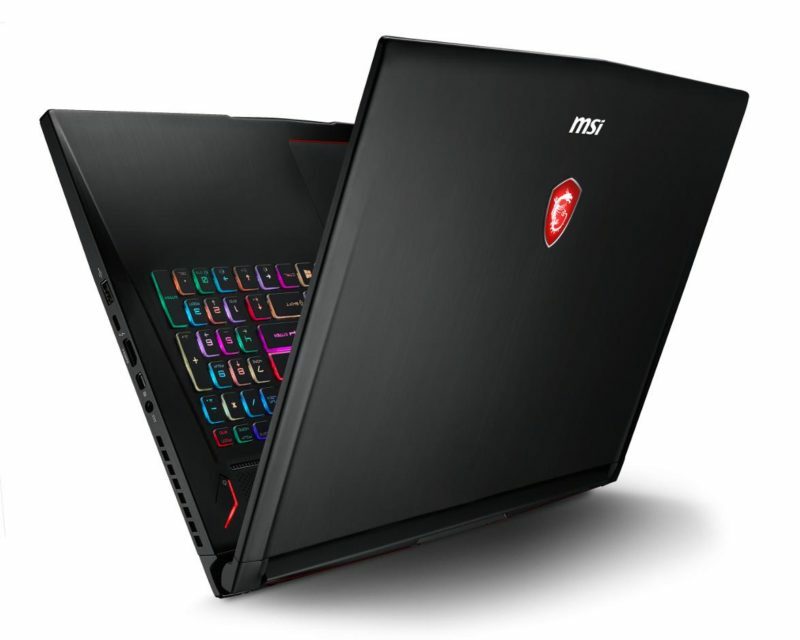 Add to that a generous connectivity with Thunderbolt 3 and a sleek design, not to mention the enjoyment of play brought by the MSI technologies. It is displayed at less than 1600 euros (promo code ANTMAN until 17/07/18). 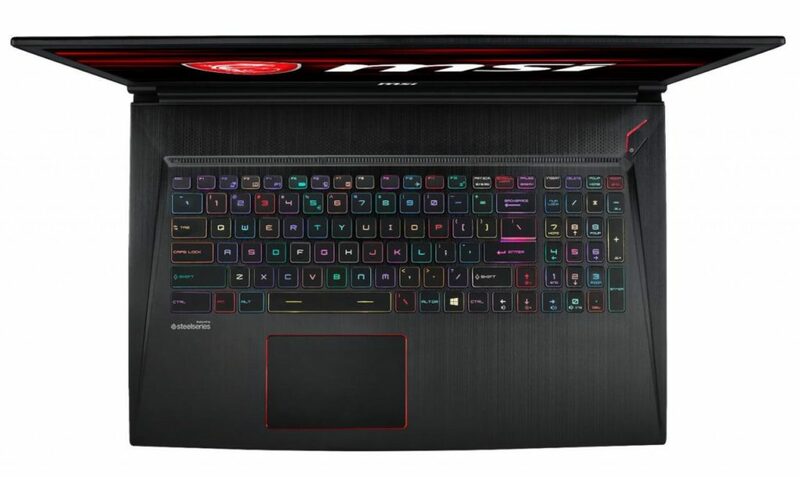 Hard to disapprove the compactness of this MSI GS73 8RD-002FR. From an aesthetic point of view, its fine profile and its brushed aluminum finish leave no one indifferent. The design conforms to the MSI aesthetic with a black hull angular keys of red but remains however rather discreet with a single red thread present on the rear stop. At the opening and on the other hand, the atmosphere is completely different with the backlit keyboard RGB touch by customizable key . With a small profile of 19.6 mm and a weight of 2.4 kg , the ultrabook can accompany you in your travels without being too noticeable. 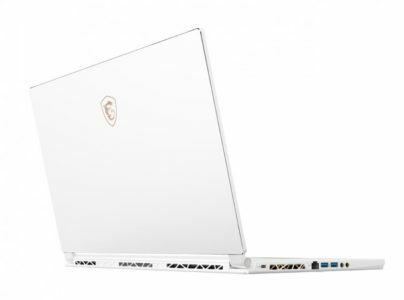 But the MSI force is found mainly in its applications and functions integrated into its machines. Among them, SteelSeries Engine 3 offers a responsive input experience with its optimized ZSQD zone, the customization of each key and an easy interface for creating profiles / macros. You can choose from a variety of uses including Sport, Comfort or Green for performance to keep up with your use while the MatrixDisplay system extends the display to two external displays. Cooling is also optimized with Cooler Boost Trinity which combines 3 fans and several dedicated heat pipes, as well as the sound with Dynaudio 2.1 and Nahimic 3. Set about 4 hours of autonomy in Internet browsing via Wifi. This is satisfactory for the capacity of its battery and the nature of its components. 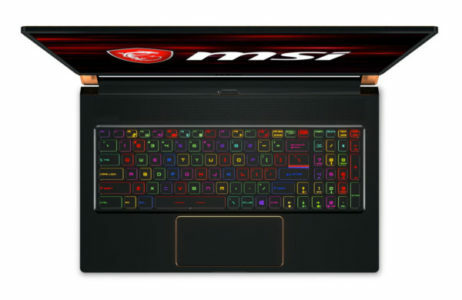 Let\’s turn then to what certainly makes all the charm of this MSI GS73 8RD-002FR, its latest generation processor (8th) Coffee Lake . Here, it is the Hexa Core i7-8750H that officiates and deploys its 6 logical cores (against 4 for a i7-7700HQ Kaby Lake) in favor of multi-core activities. Indeed, the gain in performance is real between the two generations and it allows it to measure itself to all the missions possible and imaginable, until the most advanced 3D rendering and the missions of engineering and calculation. In addition, the RAM of 8 GB which is the second essential to navigate with fluidity and ensure a good level of multitasking . To establish its destination gamer, the PC opts for the dedicated graphics card GTX 1050 Ti Pascalin its version with 4 GB GDDR5 dedicated. This one is able to measure itself to intensive players and to ensure honorable frequencies in Full HD on the totality of the titles of the market. Assimilated to a GTX 970M, it meets some limits in “Ultra” level in the most demanding opuses. In addition, it is not part of the cards that support virtual reality unlike the GTX 1060 and beyond. Integrated storage is also a serious performance argument of the ultrabook. This is a 256GB fast dedicated SSD (NVMe PCIe) and a 1TB hard drive at 7200rpm . The first will host the operating system and all programs and games while the second will take care of archiving all your toy library. This gives you a particularly responsive operation with reduced response times compared to a solution with a single hard drive, while enjoying a very generous capacity. The screen is there to enrich the gaming experience. It chooses a slab of 17 inches Full HD (1920 x 1080 px) offering a refresh rate of 120 Hz and a response time of 3 milliseconds , what ensure a exemplary game fluidity and a level of bluffing realism. It is of course equipped with a matt slab to prevent a reflection that comes to hinder the progress of the game and is supported on a TN Plus slab with narrow viewing angles. To finish with the connection, it is more complete as always at MSI, despite the fine profile of the machine. There is a card reader, two video outputs (HDMI 2.0, mini-DisplayPort) and five USB ports including three USB 3.1 (1 Gen2) and a USB 3.1 Type-C supporting the Thunderbolt 3 . 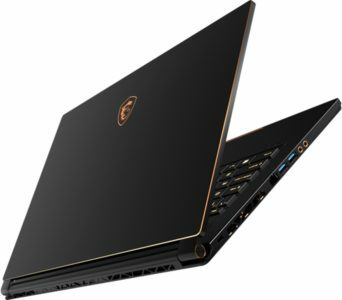 You also enjoy the latest generation of the 802.11 AC and Bluetooth 5.0 Wi-Fi chip and Gigabit Ethernet with Killer Doubleshot Pro technology to prioritize gaming.